(CN) – A new technique for estimating the populations of endangered and threatened species – involving the birdwatching public – could make conservation efforts more effective. The technique updates the traditional “mark-recapture” method, in which a portion of a species population is captured and marked. After releasing the captured birds, scientists then count the number of marked individuals in a group caught later, which serves as the basis for estimating the population of a given species in a specific area. However, estimating populations using the mark-recapture approach can be challenging when dwindling species are spread out over large areas. The new technique, on the other hand, turns individual observations by volunteer “citizen-scientists” into precise population estimates. 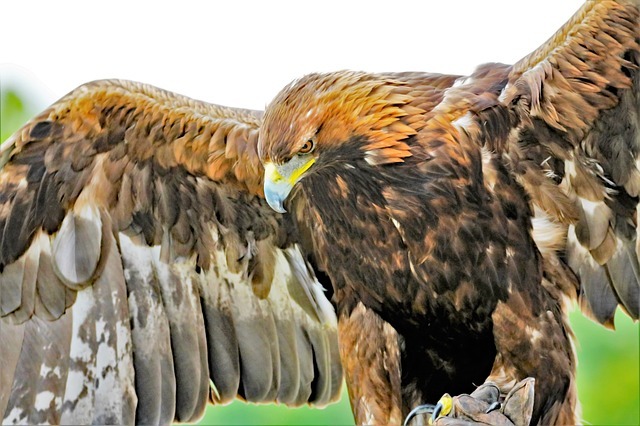 The approach, described Wednesday in the journal The Condor: Ornithological Applications, was used by a team of researchers to estimate the total number of golden eagles that migrate along a single, extensive mountain ridgeline in Pennsylvania each year. “Conservation of golden eagles in eastern North America is a really important goal for lots of reasons – it is a small, historically declining population, at risk from anthropogenic threats and habitat loss,” said Todd Katzner, an eagle expert at the U.S. Geological Survey and co-author of the study. Volunteers tracked the eagles at five count sites along the mountains from 2002 to 2011. When possible, the citizen-scientists also categorized individual eagles as either immature or adult birds. Altogether, the volunteers reported more than 3,000 sightings of the eagles. After accounting for duplicates and estimating how many birds were missed, the researchers determined that the sightings represented between 2,592 and 2,775 eagles over the 10-year period. On average, about 1,300 eagles passed through the area in a given year. “I hope this work inspires future researchers to evaluate the populations of other migratory species, and that it encourages the greater scientific community to consider new and existing citizen-science programs and think about how such programs’ data might be used in their own research toward improving resource management and decision making,” said lead author Andrew Dennhardt, a doctoral student at Michigan State University. Past research indicates that around 5,000 eagles migrate through Pennsylvania and breed in Quebec, Canada, every year, which means the team’s estimate represents about a quarter of the larger population. “For me, this was a dream come true, because I got to work on a project relevant to the conservation of the species that originally inspired me to enter the field of wildlife ecology and management,” Dennhardt said. Since it is challenging to count eagles on their breeding grounds, improved methods for tracking their numbers during migration are critical. “Nothing quite like this has ever been done,” Katzner said. “We’ve taken a standard tool, mark-recapture, and turned it on its head to give us a new way to estimate population size.